I have certainly digressed but hope I have inspired you to add this beauty to your stamp collection. I certainly will be on of my “go to” sets. Visit the Flourishes Designers and see their love creations. Check the Flourishes to be a part of the many things happening. Take part in the challenges and have a chance to win this set or all of this months release. Thanks for stopping in the Atelier today. Jan Marie this is so pretty. I love how they are “growing” up the side of your main panel. Gorgeous work here. Very pretty, beautifully colored Jan.
What a pretty card! So soft looking it’s just perfect! Lovely card, love the soft colors. Very pretty card Jan. Your colors are wonderful. I like how you used the rose stamp. on Thursday,July,14, 2011 at 11:39 | Reply Emily P.
Jan Marie, what a beautiful, soft card! Just lovely! on Thursday,July,14, 2011 at 11:39 | Reply Susan M.
on Thursday,July,14, 2011 at 11:39 | Reply Debbie D.
Lovely card ,lovely photos, lovely stamps. 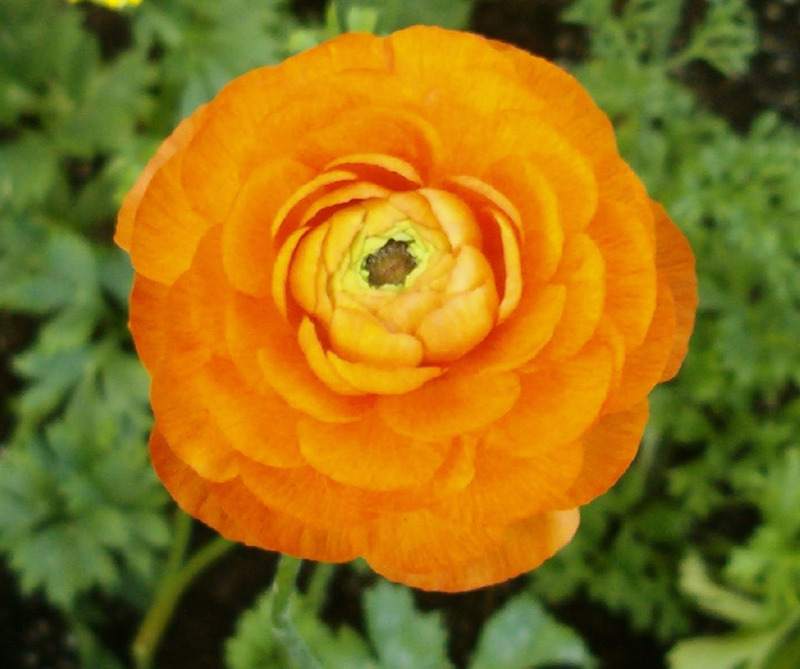 Thanks for sharing the photos..this flower in a wide range of colors…what fun it will be to color. 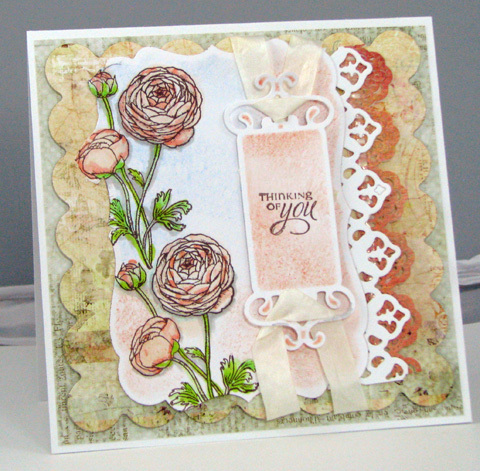 Love your card…great use of punches and dies. Gave me some ideas. This card is pure beauty! 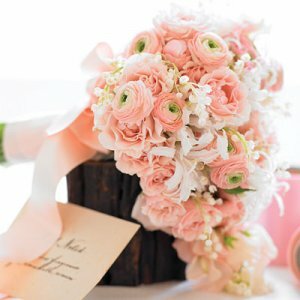 I love the soft pinks and the pretty borders you used! Great pics too! Your card is beautiful! Great photos of the flowers, also. Love this new set. Very pretty–I like the soft colors. Beautiful soft look to this, they look great repeated as a border like that – lovely card! This set is definitely on my “gotta have” list. Thanks for the pictures because I don’t think I would have ever colored them orange and that is my new favorite color. Thanks for sharing. Love the soft elegance of this beauty! 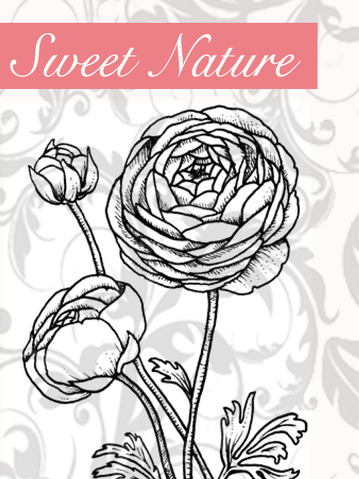 I so glad Flourishes does beautiful nature stamps! I just love these flowers and was glad to see you had two “sprigs” on your card. It’s lovely! Great soft colors on your card! And thanks for including all the beautiful photos. I know more about this pretty flower now! Oh, just love all the layers of dies you used. And, LOVE the way you have the flowers climbing up the side of your card. This is a gorgeous set. Wowsers Jan Marie! This is beautiful! Love the colours you chose and the soft and subtlety of your card! So sweet!! These colors are just gorgeous. Nicely done! So soft and lovely, your added tag is perfect, too!! Those photographs are breathtaking! 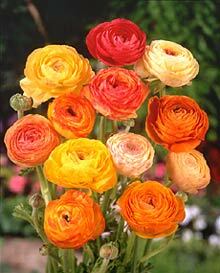 I can see we both like the peachy tones in Ranunculus Jan Marie! They look so pretty trailing down the side! on Thursday,July,14, 2011 at 11:39 | Reply Janet L.
Pretty, pretty! I’ve always liked them, too. Gorgeous! Love the colors, so soft and feminine. Luvin your card it is so very pretty! Luv your color choices. After seeing all your beautiful inspiration with this set, it looks like it’s going to the top of my wish list. What a pretty card with this gorgeous new set. And thank you for the floral inspiration in such great colors also. Love how when these are stacked together, they look like a pretty floral vine border! very nice! Great use of that flower, love your coloring and inspiration, thanks for the additional coloring ideas! What a lovely card! Amazing how many different colors there are for that flower! This sweet nature set is just perfection. 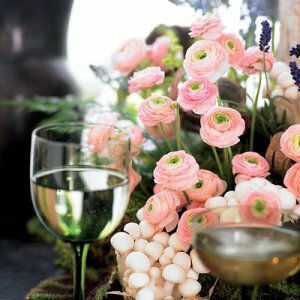 Love the beautiful soft pink you used with it. I love how you looked for inspiration in those beautiful photos, Jan! Your card is GORGEOUS! Beautiful – love the soft pinks you used!!! Love this card- one of my favorites this release! Can’t wait to get my stamps! The way the flowers border the one side of the card is so pretty! Very beautiful card Jan!